Turning back the clock may be easier than you think. Face and Eyelid Plastic Surgery by Jonathan Hoenig, M.D. While minimally invasive procedures are on the rise, a face lift or neck lift can provide results that Botox or fillers simply cannot. A well-trained eye, careful planning, and meticulous implementation of advanced techniques provide the most natural appearing results. The eyes are usually the first feature we notice about someone, but also the first area to show signs of aging. Dr. Hoenig is a board-certified ophthalmolgist and oculo-plastic surgeon. Having performed thousands of eyelid surgeries, your eyes are safe with him. Minimally invasive procedures such as BOTOX®, Restylane, Juvederm, Radiesse, Scultpra, and Intense Pulsed Light (IPL) offer the perfect alternative to cosmetic surgery for busy individuals who seek rejuvenation but can’t afford even a few days of downtime. For the past 20 years, Dr. Jonathan Hoenig has focused his Los Angeles plastic surgery practice exclusively on rejuvenation of the eyelids, face and neck. His expertise is the result of four fellowships and over 20,000 surgeries. Dr. Hoenig, not a nurse, assistant or other staff member or doctor, performs all consultations, surgeries, and post-op visits. This undoubtedly is another reason for the naturally beautiful results for which he is renowned. The Eyes of an Artist. The Hands of an Expert. Dr. Hoenig has mastered both the science and art of face and eyelid plastic surgery. Should you select him as your surgeon, you can be confident the results will be completely natural: never obvious, pulled or unnatural. Dr. Hoenig is highly regarded as one of world’s experts in rejuvenation of the face, neck and eyelids. He approaches each patient individually, with an aesthetic eye and a knowing hand. 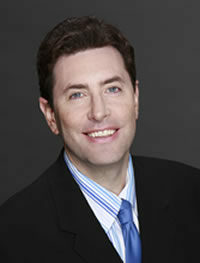 Dr. Jonathan Hoenig is a world-renowned innovator of modern oculoplastic, facial plastic and reconstructive surgery techniques. He is a pioneer in state-of-the-art approaches for BOTOX, the cheek or midface lift and the minimal incision, endoscopic browlift. Dr. Hoenig’s contributions in the fields of oculoplastic (eye-related) and facial plastic surgery have changed the lives of many by enhancing their features, rejuvenating their appearance, and boosting their self-esteem. With offices conveniently located in Beverly Hills and Sherman Oaks, Dr. Hoenig is only 20 minutes from LAX (Los Angeles international airport). His patients are from across Southern California, the United States and all over the world. Read in patient’s own words, their reviews of Dr. Jonathan Hoenig.